The Vale London was founded in 2017 by Melinda Marquardt. After working in sales for an American textile company for seven years, she decided to start up her own business. 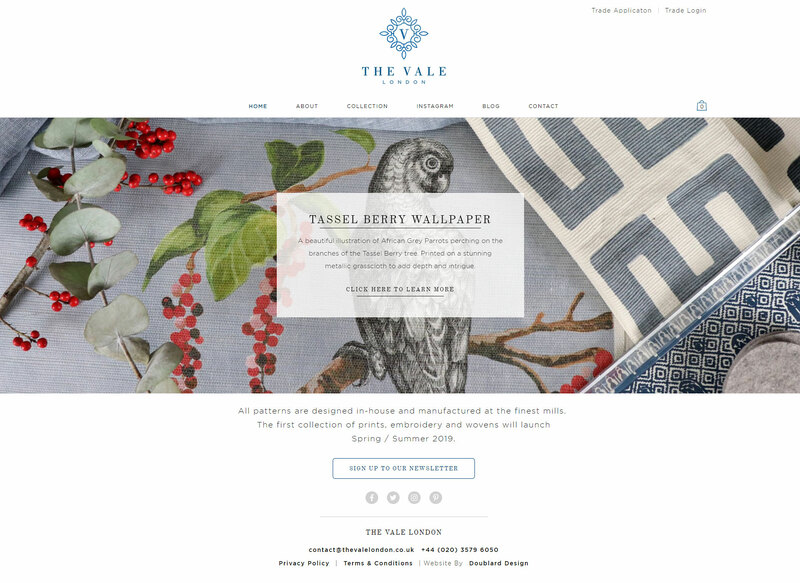 Partnering her education in fine art with her many years of sales experience, Melinda created the Vale London to provide exquisite textiles and wallpapers to the luxury interiors market. 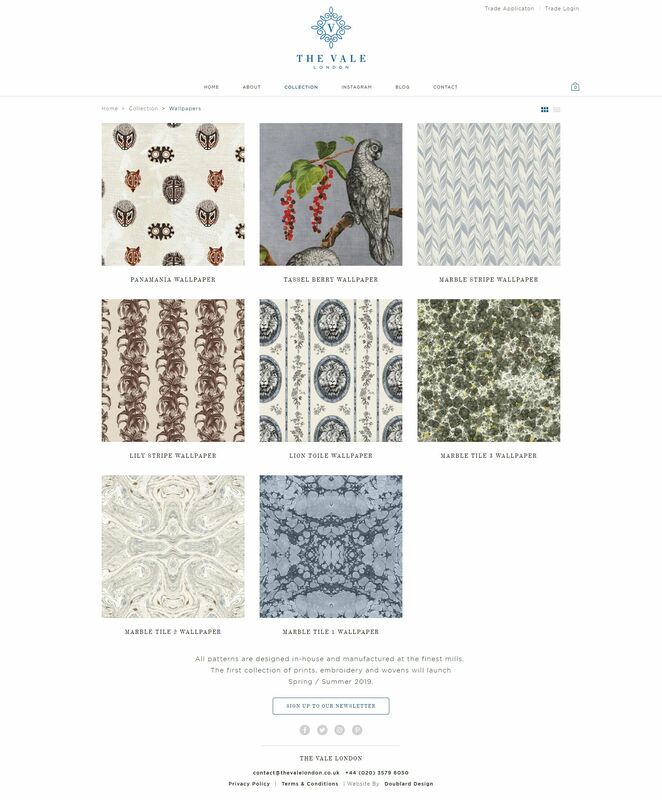 Having seen our previous work, Melinda approached us to assist with the development of a website that would showcase fabrics and wallpapers as well as make them available for online sales. 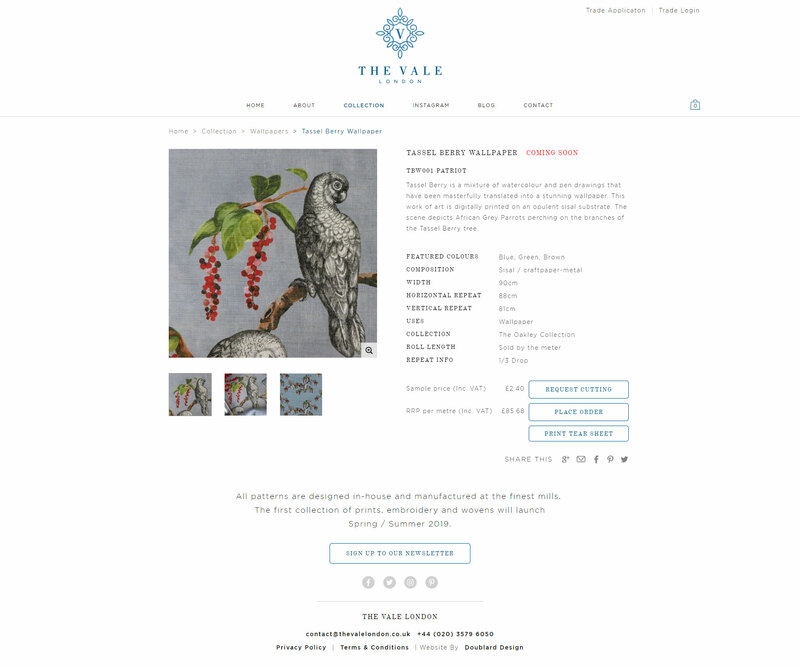 The website that we produced allows for trade account (discounted) and retail purchasing. Its bespoke and easy-to-use content management system means that the website can be maintained in-house. 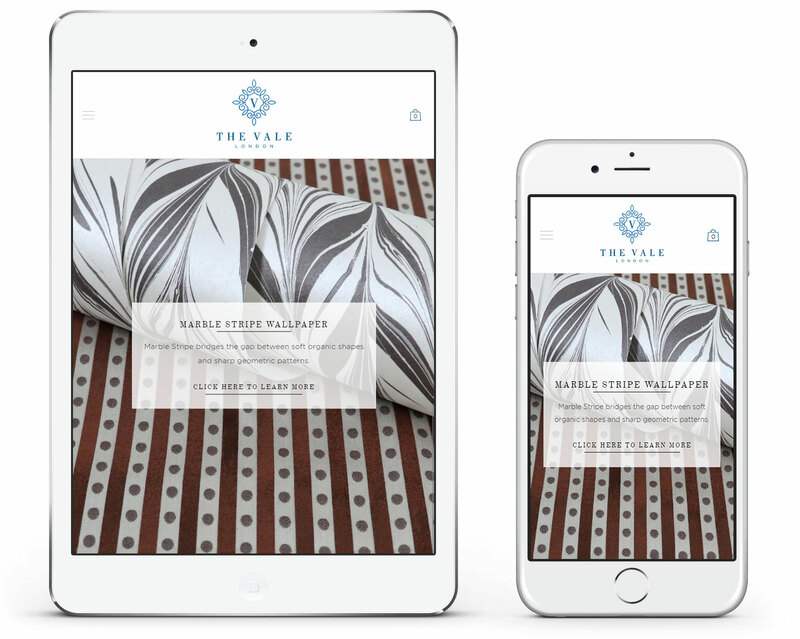 "It was a pleasure to work with Doublard design to create the perfect bespoke website. They exceeded my expectations and made my dream website a reality. Not only is it beautifully designed, the functionality on the content management system is very easy to use.